It’s hard to believe that Star Wars Rebels is already in its fourth season, as the flurry of new Star Wars content since 2012’s Disney purchase of Lucasfilm can sometimes cause one to forget about the show that established how the two enormous companies would interact. But in many ways, Rebels has been the standard-bearer for this new era of Star Wars as it pioneered the methods in which stories across media would interact and established the precedent for incorporating “Legends” material into canon. 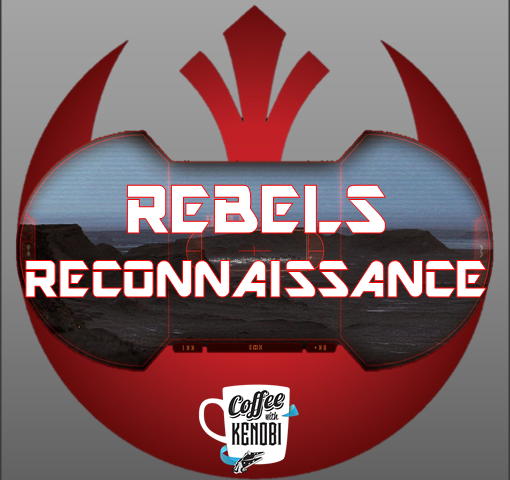 And now with the show having an end date that its writers can plan for, the final chapters of Star Wars Rebels seem to be methodically filling in the gaps, tying off loose ends, and bringing a logical conclusion to the series. “The Occupation,” the first of two new Rebels episodes this week, brings the show full circle in a way we’ve not yet seen. After not being on Lothal since the events of “An Inside Man” in season three, the Ghost crew return to the planet they called home for virtually all of season one, but not with the intent of helping its people as Ezra Bridger had hoped and made clear in last week’s “In the Name of the Rebellion.” Rather, Mon Mothma has sent our heroes back to Lothal to gather intelligence on a new version of the TIE Defender, and when they arrive, they find that the Empire’s reactions to their previous insurgent activities have left the planet devastated. While tragic to witness, the “real-life” consequences of the rebellion led by Hera, Kanan, Ezra, Sabine, Zeb, and Chopper lend Star Wars Rebels a sense of gravitas frequently missing from most television shows for adults–let alone programming aimed at children. It’s a powerful testament to the quality of storytelling we’ve come to expect from this new iteration of Lucasfilm. In the best possible sense, “The Occupation” feels like a “Rebels’ Greatest Hits” album with numerous call-backs to previous Rebels episodes, beginning with having Cikatro Vizago (a prominent character from the first season but absent since “Brothers of the Broken Horn”) return to smuggle the Ghost crew onto Lothal. From there, we have puffer pigs and a reference to Lando Calrissian (both from “Idiot’s Array”), followed by a return to Old Jho’s Pit Stop. Here, we learn the final fate of the Ithorian barkeep from the new owner, Baron Valen Rudor, while the Imperial March plays as source music over the cantina’s sound system (both allusions to “Empire Day”). Ezra and Sabine are both taken aback by this turn of events, and only the intercession of Jai Kell (last seen in “Breaking Ranks”) keeps the pair from being incarcerated by the Empire. After that, it’s a thrilling escape through the sewers as Ezra and Sabine are reunited with the rest of their friends while being pursued by Imperial probe droids. We’ve seen probe droids on Rebels before, but I don’t think they’ve ever been this menacing. In fact, the swirling mechanical mass of tentacles reminded this reviewer of the murderous sentinels from the Matrix film series. Nevertheless, our heroes manage to evade capture and rendezvous with Ryder Azadi in his U-wing. “Flight of the Defender” picks up shortly after the events of “The Occupation” and continues the trend of harkening back to earlier Rebels episodes. With Ezra and Sabine now working directly on Mon Mothma’s mission to acquire intel on the latest iteration of the TIE Defender, the pair instead end up stealing the prototype (much like Ezra and Zeb stole a TIE fighter in “Fighter Flight”). Vult Skerris (introduced in “The Antilles Extraction and late of “Secret Cargo”) is once again on hand as the Empire’s resident Defender expert and pilot, but he actually gets very little to do here other than being recognized by Sabine due to their interaction in “The Antilles Extraction.” A further allusion to “The Antilles Extraction” occurs when Governor Arhrinda Pryce’s activates the stolen Defender’s “kill switch,” a device first used in that episode to cripple TIEs by discharging their wings. The TIE Defender is effectively scrapped and Ezra and Sabine escape into Lothal’s wasteland, but somehow Grand Admiral Thrawn (who was also present at the test) views the whole experience as successful since the Defender performed exceptionally–even when piloted by a novice like Ezra Bridger. True to his nature, the man finds value in a situation everyone else would dismiss as a complete failure. What follows can only be described as mysterious. For the first time, Loth-wolves make an appearance in the Star Wars universe and the lupine creatures make quite an impression. Apparently capable of speaking Galactic Basic and disappearing at will, the Loth-wolves seem to also have an innate connection to the Force. And though the creature Ezra encounters appears to be friendly, its true agenda remains shrouded. The only clue we are given as to the reason for its assistance is the response to Ezra’s query about why it was helping him. The Loth-wolf simply responded, “Dume.” While this is most likely a reference to Kanan Jarrus’ given surname, the implication has yet to be revealed. I won’t speculate here about the true nature of this particular Loth-wolf, but I do have a theory. If you have one, please feel free to leave it in the comments section below. At most, it will only be a few months until we get an answer. Until then, there will be plenty of great Star Wars content as The Last Jedi ramps up its marketing campaign–and two more episodes of Rebels next week–to tide us over. i Do have a theory as to what the Lothal wolves could do. In the first season Ezra’s early training involves Loth cats I believe that this could be a way to increase Ezra’s power with the force. I also notice that they look bigger and seem to also be connected to the force.